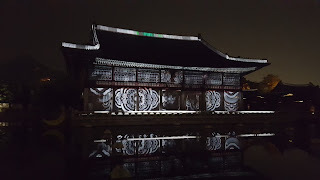 Starting from today (2 Mar 16), Gyeongbok Palace will have a special night opening (7pm to 10pm). Refer to opening dates at the bottom of this post. Do note that palace will be closed on Tuesdays. The entrance fee is 3,000won per person and they limit purchase to 4 tickets per person. 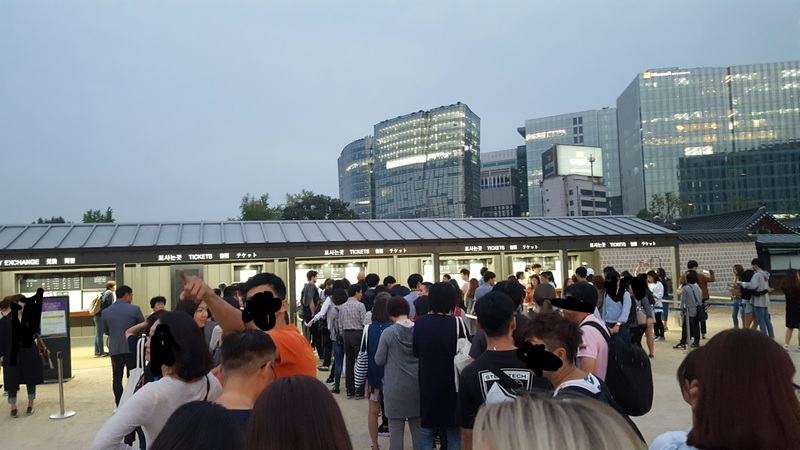 All Koreans have to purchase tickets in advance however foreigners will be able to get tickets there on the day itself. Only 500 tickets will be sold to foreigners a day (entry limited to 2,500 people a day). Try to get your tickets early to enjoy the palace night view. 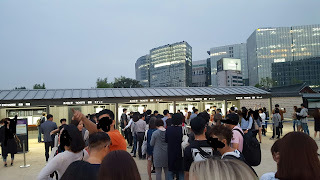 This is how the queue looks like 30 minutes prior to ticket sales on a Saturday. For those who can't get ticket, there is light show outside the palace entrance as well (forgot if it's 8:30pm or 9pm). 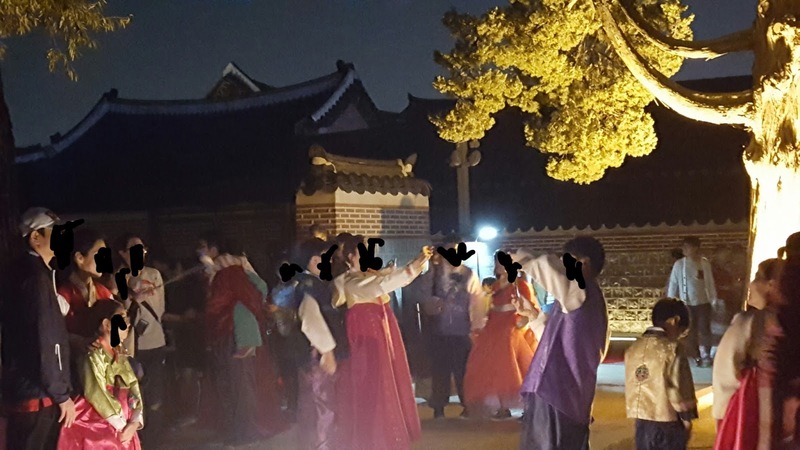 If you go in a hanbok, you get to enter free of charge. You will see lots of local in hanbok as it's quite hard for them to get tickets. 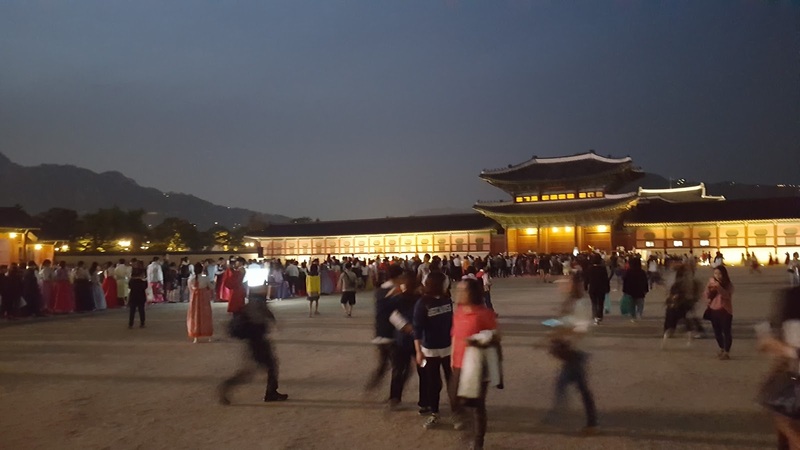 In any case, going in hanbok is highly recommended as photos will look good against the palace backdrop. 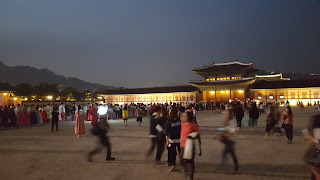 People queuing to enter the palace, if you enter with a pram, you can cut the queue by entering from the slope on the right. There is a light show and dance performance at 7:20pm and 8pm. Walk into the palace and head towards the left. I have a question please, Gyeonbokgung closed all the day on tuesdays or only at night ? 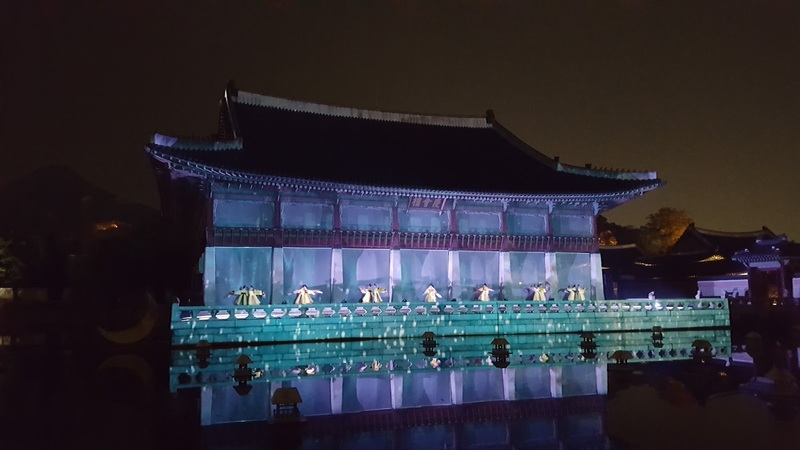 Is there performances and events in the palace at night ? It is closed in Tuesday, not just for the night entrance. Performances wise I am not too sure, there seems to be but might be seasonal. There is a chance that I will go visit on my upcoming trip, will update the post again if I do. Update: They have light show and dance performance at 7:20pm and 8pm. Hello Jane. This is great information. Thanks! Is Oct. 28 the last day the palace is open at night? 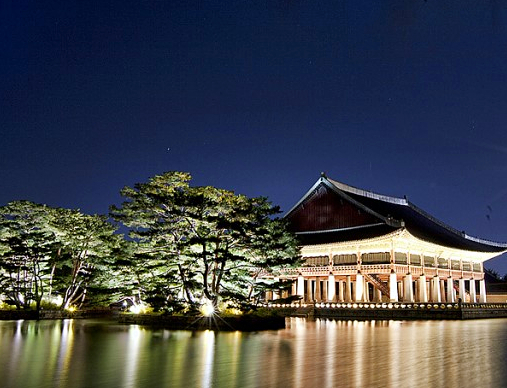 I'll be there next week just in time for it and would love to visit the palace at night if I can. Thank you! 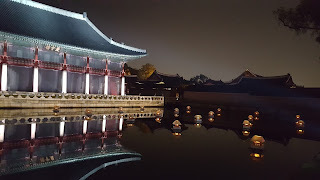 Hi, yes, 28 Oct is the last day the palace is open at night for the year. Hello Jane. If I buy an integrated ticket book for the palaces, does that include the night event or do I have to buy a separate ticket for this? If not, then can I buy ticket in the morning or the day before for the night event? Thank you so much for your help! What I understand is that you have to buy the tickets for night entrance separately and I don't think you can buy in advance.